The story of a company of paratroopers and it’s heroic and deadly struggle to survive in the mountains of Afghanistan . 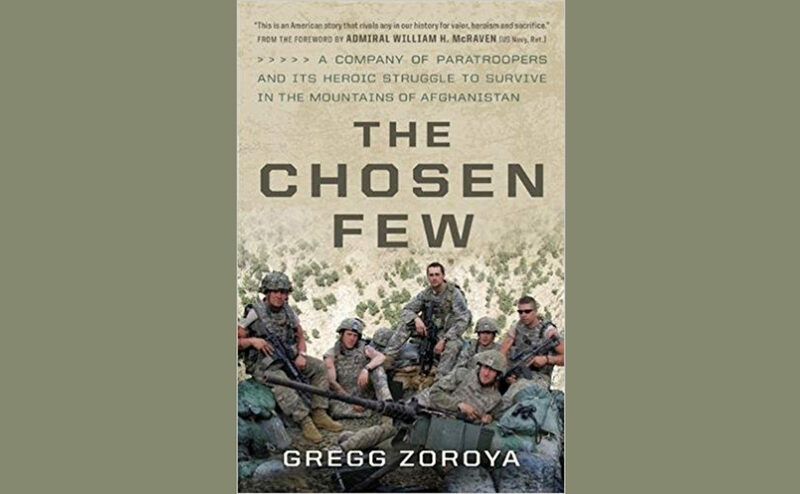 This book is one of the most harrowing I have ever read in my entire life .The author Mr. Gregg Zoroya of USA Today has meticulously recounted in explicit and accurate detail the horrors of war, the fact that everyone is connected to someone and that the wounds of conflict will heal on the outside but will live on forever in memories .This was a very tough read as I as currently have family serving in the armed services and it made me think of them every minute of the read . Gregg’s ability to connect with the soldiers lives make you invested in the story and the outcome however it is not a story of fiction but of real life . The troopers of Chosen company,503rd Parachute Infantry Regiment, 173rd Airborne Brigade proved their mettle in battle and in life. The fact that two of the soldiers currently live in my part of the world sent a chilling reminder that we are all connected .The loss of 67 % of the overall troops makes me realize we are fighting a very cunning and deadly enemy that should never be underestimated.I believe a book such as this should be required reading to all high school students as a stark reminder of all those who paid for freedom with their lives. The battle of Wanat Valley is one that should never be forgotten . The soldiers and their families are well represented in a non sensationalist way with a true and accurate portrayal of their lives , hopes and dreams and the nightmare of war. The book is currently available by Da Capo Press and I cannot thank them of the author enough for bringing this story to life . I gave this book 5 out of 5 stars and it is highly recommended !